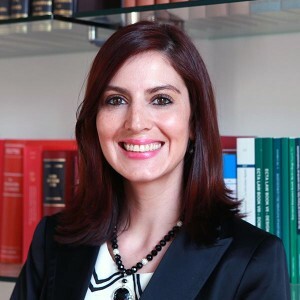 Managing Partner of De Tullio & Partners. Attorney-at-Law. Admitted to the Bar in Italy since 1994. Registered European and Italian Trade Mark & Design Attorney. Director of the Italy-Argentina Chamber of Commerce (CaCIA) and member of the Board of Directors of the Italy-Dominica Chamber of Commerce. Legal Advisor for Istituto di Economia dei Media (Fondazione Rosselli) and Fondazione Valore Italia of the Italian Ministry of Economic Development. Representing the International Trademark Association (INTA) as expert in the working groups set up by the OHIM for supporting the activities of the EU Observatory on infringements of IPRs. 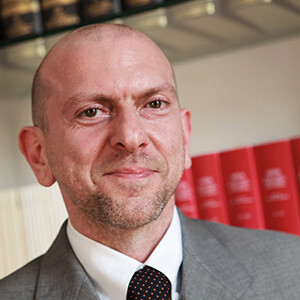 Italian member of the Intellectual Property Commission of the International Chamber of Commerce (ICC) and Chair of the Task Force on IP Infringement on the Internet. Cooperating as an expert with the European Commission, in particular with DG Enterprise & Industry (PATINNOVA), DG Enlargement (TAIEX), DG Research & Innovation (and DG Market. Frequent speaker and lecturer in Intellectual Property matters (i.e. at University of Rome La Sapienza University, Universitas Mercatorum, University of Bari, University of Bologna, Politecnico of Milan). 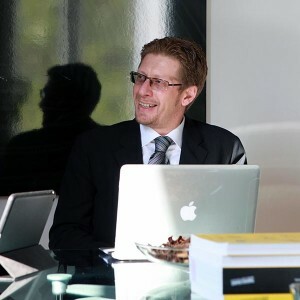 Author of several publications and articles on Intellectual Property and IPR Enforcement. Among others, he was also editor and main author of the publication “The intangible wealth – Intellectual Property as an acceleration factor in the audiovisual market” published in 2011 by RAIZONE – ERI. 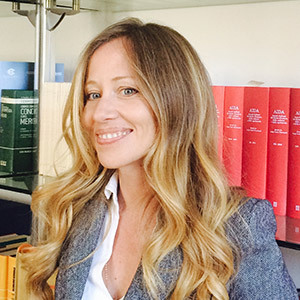 Co-Author of UTET Commentary on Italian and European IP Law. Member of INTA (Chair of the EU Observatory Joint Task Force in the Anti-Counterfeiting Committee), ECTA (member of the Geographical Indications Committee and the Publication Committee), AIPPI, ALAI, INSME, ORIGIN, IAEL, ICC. Fluent in Italian and English. Good knowledge of Spanish and French. Senior Associate and responsible of the Legal Department. Attorney-at-Law. Admitted to the Bar of Rome since 2006. LL.M. in Intellectual Property Law at Queen Mary University of London. Author of several publications and articles on different IP law matters, including GIs protection, trade secrets, creative commons licenses, and new forms of distribution and IP protection. Member BLACA (British Literary and Artistic Copyright Association), AAAIP ( Afro-Asian Association for Intellectual Property Rights) and INTA (International Trademark Association) as member of the Anti-Counterfeiting Committee. Fluent in Italian, German, French and English. Good knowledge of Spanish. Master degree in Chemistry. PhD in chemical technologies and advanced materials, specialized in nanotechnology and nanomaterials applications. Patent information analyst since 2004, with experience in technology scouting and patent landscape scenario. Candidate for the European qualifying examination (EQE). 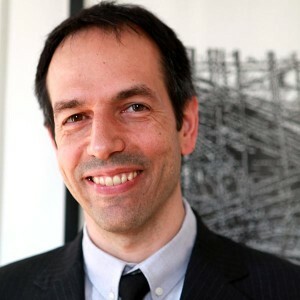 Chairman of the Italian Patent User Group Association (AIDB). Fluent in Italian and English. Legal representative and responsible of the Patent Department. Master degree in Veterinary. PhD in Control and inspection on high-quality food of animal origin. Involved in IP since 2008. Senior Associate and Coordinator of Patent Search, Drafting and Prosecution. Involved in IP since 2002. Senior Associate and responsible of the Trademark Department. Master Degree in Development and Internationalization of Enterprises. Specialized in International Business Law. Member of ASIPI (Interamerican Intellectual Property Association) as member of the IP & Corporate Social Responsibility Committee. Deputy General Secretary Italian-Argentinian Chamber of Commerce (CACIA) in Rome. Fluent in Italian, Spanish and English. Attorney-at-Law. Admitted to the Bar in Italy since 2015. 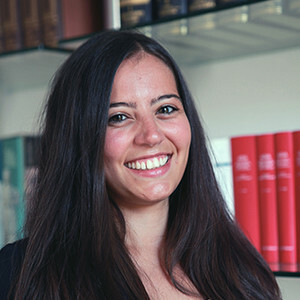 Graduated in law at LUISS University of Rome in 2012. Specialized in Intellectual Property Law and IT Law. Coordinator of the Administrative Department. Involved in IP since 2012. 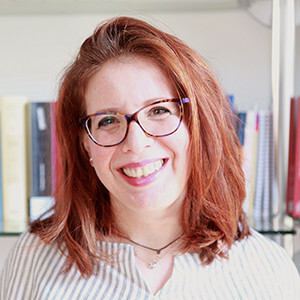 Senior trademark paralegal since 2015. Graduated in Law and in Economics at the University of Turin. Main field of application: Electronics and Computer Implemented Inventions. Fluent Italian and English, intermediate knowledge of Portuguese.